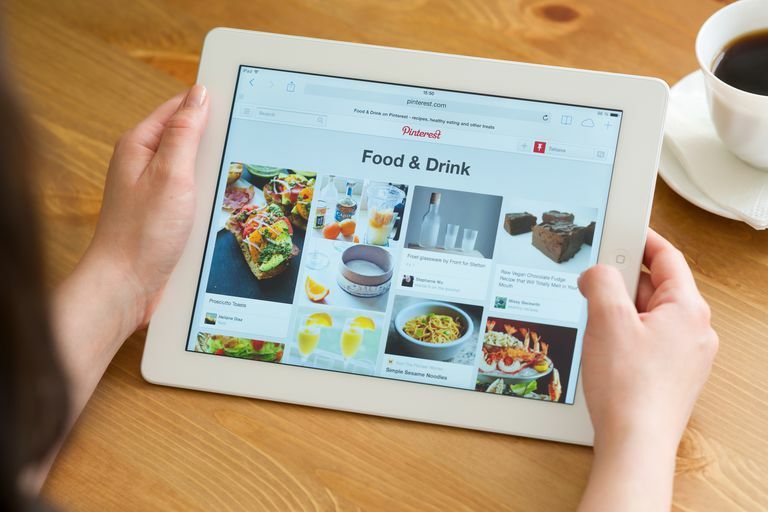 Whether you run a popular food blog as a hobby or handle the social media posts for the travel business you work for, Pinterest is one social network that can make a big difference in your traffic, sales, opt-ins and more. A Pinterest scheduler can help you ensure that your pins are being seen by your target audience regularly and at the right times so you get more clicks to your site, more people saving your pins and more people following your boards. Like pretty much all social networks, Pinterest itself doesn't allow you to schedule pins to be saved or posted at a particular time, but there are many third-party tools out there that let you do it. Here are five great tools you can get started with right away. None of the following tools are free to use indefinitely. Sorry! If you want to schedule your Pinterest pins, you'll have to be willing to pay for one of the following premium social media management tools past their trial periods. Tailwind is a tool that's specifically focused on Pinterest and Instagram marketing, making it one heck of a great tool for planning and scheduling your visual social posts. Tailwind will let you see recommended times to publish your pins, create multiple posts all at once from any page on the web/the Tailwind browser extension/the Tailwind mobile app, upload images in bulk from almost anywhere and recycle posts that perform well. Just use the simple drag-and-drop feature to organize your pins and take advantage of lists for grouped boards as you drop your pins into your automatically optimized queue for super fast and automated pinning. Works with Pinterest, Facebook, Twitter, Tumblr, and Instagram. Includes image editor and Canva integration. Analytics not as comprehensive as some other options. Rivaling Tailwind for best visual social posting tool, Viraltag is a social dashboard tool that lets you schedule posts to Pinterest in addition to other popular social networks like Facebook, Twitter, and Instagram. The Pinterest scheduling tool is optimized specifically for Pinterest so you can customize the image dimensions, caption, tags and more for your Pinterest audience. Just select the specific board you want, add a description and a source and then schedule it for a time to post or add it to your post queue for easy, automated posting. Viraltag also has a bonus built-in image editor and Canva integration so you can design your pins directly within the tool! Links to Pablo, an online photo editing tool. Doesn’t allow bulk image uploading. Power Scheduler available only in desktop version. Buffer is a big hit for social media users of all kinds for its super simple and intuitive interface—both on the web, via browser extension and on the mobile app. In addition to Pinterest scheduling, you can use it for Facebook, Twitter, LinkedIn Google+ and Instagram. You can design your schedule queue anyway you want so that the dates and times are optimized for your target audience on Pinterest. If you're scheduling a pin from the extension or app, Buffer will autofill some of the information for your pin to make the process even easier, which you can edit or customize before you add it to your schedule queue. Full complement of scheduling features. Lacks features of other, more robust apps. The next social media scheduler that earns a spot on this list is SocialPilot for its complete offering of Pinterest pin creation and scheduling features. You can also use it with Facebook, Twitter, LinkedIn, Google+, Instagram, Tumblr, VK and Xing. In addition to images, SocialPilot also lets you schedule video and GIF pins. You can build your schedule using your content calendar with custom dates and times so that you can see everything scheduled at a glance. There's also a nifty logo and watermark tool you can use to brand your pins right before you schedule them, plus a SocialPilot mobile to make scheduling pins easy as pie from a mobile device. Can handle bulk pin creation and scheduling. Includes browser extension and mobile app. Viralwoot is another scheduling tool worth considering for both Pinterest and Instagram. Its interface is clean and simple, which might make it a better alternative for people/businesses looking to do without the confusion and extra functionality of more advanced tools. You can create and schedule pins in bulk from the web, the Viralwoot browser extension and the Viralwoot mobile app to help you save your own time while optimizing your pins for the best publishing times. You can also schedule saves (repins) from other Pinterest users, which is great way to engage with the Pinterest community. And if you have images from other popular apps like Instagram or Twitter that you want to schedule on Pinterest, Viralwoot lets you upload directly from 21 integrated apps to help take the headache out of crossposting.